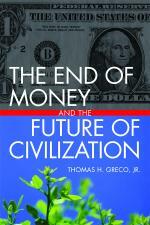 Coming soon: a world without money and banks. Who in their right mind would be so bold as to predict the end of money and banking as we’ve known it (besides yours truly, that is)? Well, how about the Governor of the Bank of England? You see, even the insiders can see the writing on the wall. This entry was posted in Banking, Developing Alternatives, Implementation Strategies and tagged bank of england, barter, credit clearing, Mervyn King. Bookmark the permalink. Has anyone explored the possibility that within a mutual credit system a business could be started without capital? It occurs to me that the stock share system is just another way of renting money, the difference from banking being that banks rent money that they don’t have. One way it could work is for an aspiring businessperson to submit a business plan to a body representative of prospective suppliers, including labor. If accepted, the new business would be chartered as a member of the system and issued credit. The new businessperson (or persons) would become the controller of the company rather than the owner, and would receive a salary instead of dividends. If the controller brings capital into the business, they could be paid outright, subject to approval, the same as any other supplier. Without shareholders, the controller would be free to optimize quality rather than optimizing profits. Such a business could never be sold, since it isn’t owned, but could, again subject to approval, change controllers. If it should come to an end, remaining assets could be sold off and any surplus could be distributed among participants as severance, in the same proportion as the prevailing salaries and wages. Just a thought, but if we ever phase out the system of money as tribute, we might as well go all the way. Forget about a ”transaction”… you dont even need that. The only thing you need is a passion and return this passion to people. Work for your passion and receive for your passion. This is call a world without limitation. If you need to exchange an object for an object you create limitation. You go back to the money system essentially. Money is worth NOTHING! they just print it on no value. If everyone would simply work just to have access to goods for free now thats a good plan and a great world without limitation… People that would not work would simply not be able to access the goods. A world where we create riches and poor will always create issues. Everything is about balance. And we have no balance right now in our world. Balance is the BIGGEST LAW of nature and the biggest thing we need to restore in our world. But thats another subject. Having an Hierarchy is wrong! Everyone is important and nobody is suppose to be superior or inferior. The triangle just remember that, its everywhere, and its the Illuminati sign. I’ve been telling friends for decades that eventually cash would become illegal, and would only continue to be used in the hands of the black market, so I suppose money launderers have their futures assured. Physical money is one of the largest disseminaters of disease worldwide as carriers of bacteria, viruses, etc. Eventually all transactions & trade of goods will be through chips, but I wouldn’t count the banking industry out of getting their piece of it. This technology will also mean tracking your movements. There are benefits & risks in all tech, like any tool. A hammer can build, but it can also murder. I also recall telling a group of friends in the late 1960’s that personal privacy was dead, but Americans would cling to the fantasy for decades. RFID chips though convenient are just the beginning of world wide tracking & control of individuals. Have you read my other post, https://beyondmoney.net/2010/01/26/identification-and-tracking-in-the-brave-new-world-rfid-chips-and-you/? Yes, actually I read your article before posting. Well written & you make excellent points! I did not know that farm animals are now required to be chipped – we’re next. I suspect the “shadow government” will attempt to accomplish this with the continued advancement of nanotech through WHO & the UN with their world wide push toward vaccinating mass populations. This kind of thing used to sound like science fiction, now it just sounds probable. New evaluative paradigms of cost/benefit analysis will arise organically and unpredictably. Novel economic constructs are needed that may measure values in terms of appreciation, opportunity, satisfaction, cultural and intellectual enrichment, self-actualization and well-being to create a truly egalitarian society. As with all major advances in human history change comes only when the Noosphere is ready and able to give it birth. The antidote to the poison that money is, is present in the universe but not yet apparent. New evidence, new thinking and new vision will combine to bring the idea to fruition. The next level of moral and intellectual enlightenment will eventually be reached. But change comes hard and money will fight for its survival. History is replete with the wreckage of outmoded and failed ideas in science, the arts and society falling victim to evolution. A necessary impetus are conversations like these. All that Mankind can imagine can be made real and is our only existential imperative. I truly think that this kind of thinking means that we are on the right track. To live in a world with out money is the best solution. It may take years to change, undo the mind set. But with persistants it can be done. It would be the way to bring us back together as a people. Back to God. we could just keep working every day as we do. But no one gets a pay check. I love the ideal of it all. And I believe that we can make it become our new reality. I think there is still more to be thought. Why is it that every discussion about a cashless society have to present bartering as the solution? There should be no cost- for anything. If we introduce bartering, that will just lead back to what we have now- that’s how it all began. If everything is free- supplies, property, natural resources- we eliminate poverty, we eliminate social classes, we eliminate capitalism altogether. According to Bob Meyer’s article, which i cited, King uttered those words during the “annual policy conference (of world economic leaders) in Jackson Hole, Wyoming.” He does not mention whether that was last year or some previous year. If you can help track it down, I and my readers would appreciate it. Why would anyone in their right mind who is not Illuminati give any credence to what a member of the Illuminati says, other than to decipher it’s manipulative nature? A unit of account is money. Why doesn’t King say anything about how the bank is currently profiting off of debt between borrowers and the producers who take the currency in exchange for their product? The writing on the wall – the bankers will maintain their control until the masses break down the wall of understanding how money is created. Debit the borrower, credit the lender. Then, debit the borrower more and credit the banker. The piggy is right there behind the wall, waiting to die.